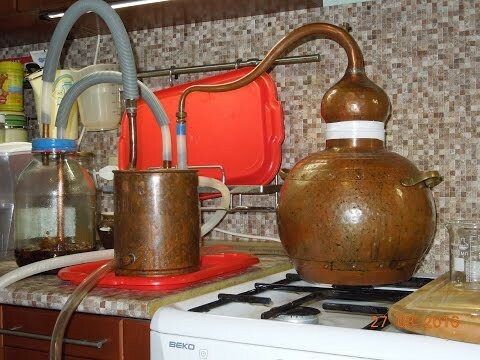 The process of distillation are known since ancient times, first information about it appeared BC. In detail this technology was described by Aristotle, and soon after the study came from well-known alchemists. Masters from around the globe conduct their own research. Distillation was used since ancient times. The distillation process at the time of its existence, has experienced various changes. Many people were engaged in the distillation of alcohol, using their technology. Distillation was carried out with the use of grape, drain, sugar cane. Special contribution to the process of distillation has made by Egyptian alchemists, according to them, such manipulation allows you to make the drink incredibly delicious. The method of distillation with a literal translation from Latin is translated as "melt drops". This designation is fully justified, indeed, during the implementation process, the liquid evaporates, transforming into a vapor state. Also it is divided into simple, includes standard evaporation of a liquid, and fractional, based on the distillation with the use of different temperatures. Apparatus for distillation with the appropriate knowledge, you can create at home. In the third century BC, the ancient Egyptians used grapes for cooking wort, from which soon created the paint. In those days the now familiar process did not exist. But even then, there were the first simple machines. Proof of this are found diagrams. Thanks to the installation of Cuba, distillation tank of the refrigerator and the vapor connector created spirits. Today, the distillation of vodka and other alcoholic products of a necessary process, to ignore that is unacceptable. However, it is important to adhere to safety rules. We are talking about using hot temperatures, can cause the person serious harm. Distillation of vodka is manufactured in several important stages, each of which is based on the evaporation of a liquid. The first step in a well-closed container placed Braga, which is in the process of heating is condensing through the coil. In the first stage evaporates the fraction, containing methyl alcohol. Its structure is particularly dangerous, to inhale it, and even more so to use life-threatening. At the second stage lies in the fact, to the completion of the process of the coil out of usual water, devoid of alcohol. However, it did contain dangerous metals. Therefore, the test will be no burning distillate. On completion of these two things work drinks – cognac, whiskey, brandy or tequila. 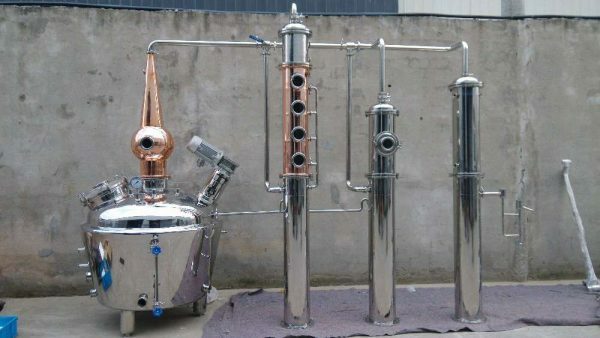 Should understand distilling moonshine and other alcoholic beverages complex process, which includes not only the cleansing from dangerous impurities, but preserving the original taste. This term refers to the fluid, not having color. It is formed after the distillation of natural gas and is not able to dissolve in water. They can be different factions. It gets the name of the product refining, and used in paint business. The distillate is light, medium and heavy. Most popular average, it is actively used in the oil industry. To transport, be careful. The reason for this is the strong explosiveness. In our days people are constantly faced with products, having in its composition the alcohol. And it's not just the alcohol, but some types of drugs. 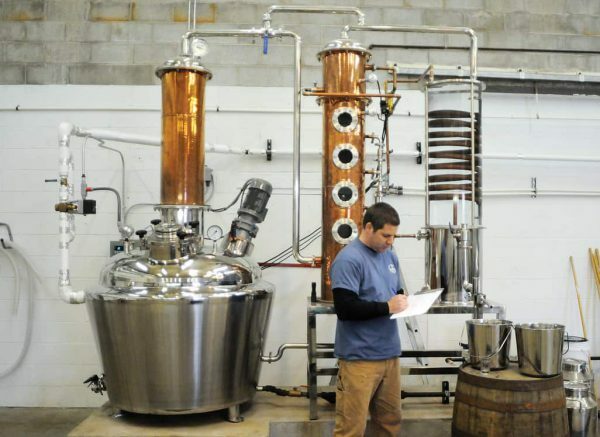 Home distillation is an incredible demand. The reason for this desire to make product of the highest quality. Ultimately, the process produces distillers and rectifiers. The resulting distillate is used for chemical industry, as well as in pharmacology. As for the double-distilled water, that its scope is much smaller. Camera, distillation generated in the home may differ significantly from store. However, the General scheme takes the General form. 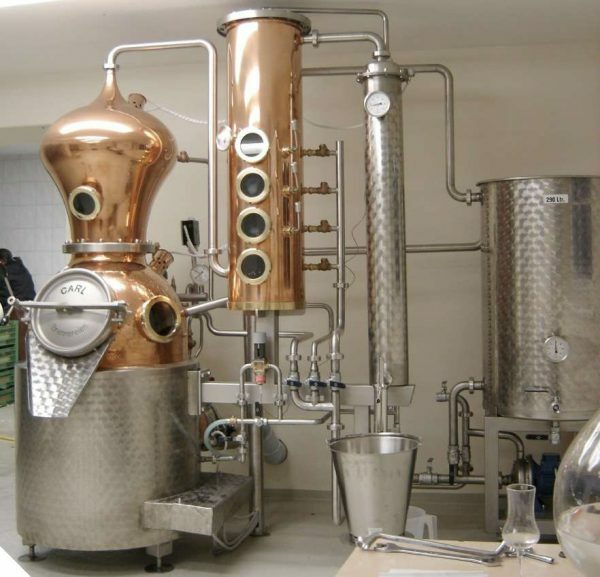 To create a vodka requires compliance with complicated technology rectification. Typically, the alcohol is purified when using the filter on the basis of charcoal, allows to rid the liquid of impurities. The rectification stage is the main. The raw material can be different – barley, peas or corn. Before use, the grains are crushed well. Then it turns out the flour, which is placed in a special container and add water. Then with the help of ultraviolet purification removes salt. Further, the capacity of heat, then the mass is moved to the VAT and the yeast is added. This mixture turns to Braga. Next step is cleaning. It is important to note, what is the boiling point of alcohol reaches 78 degrees, while water boils at 100 degrees. During the heating fraction is separated from the main liquid and gradually dripping in a special container. Automation for distillation of essential. Each process must be carefully monitored and checked. The only way, it is possible to achieve a quality product. Whatever happened home distillation or production, it is important to stick to technology creation. It is not difficult, but the distillate requires compliance with existing rules, and most importantly measures of safety rules. Hepatoprotectors: what it is and what they need? Stopping any addiction to alcohol, cigarette tobacco or drugs — we are for the life of a man without bad habits! About all of our articles. The copy page 1 in 1 partial copying of this recording: “The distillate is what is” banned. All rights reserved. © 2014 - 2019 year.